The Corporation for Public Broadcasting's inspector general on Monday recommended sanctioning Vermont Public Television for failing to comply with federal open meetings law. 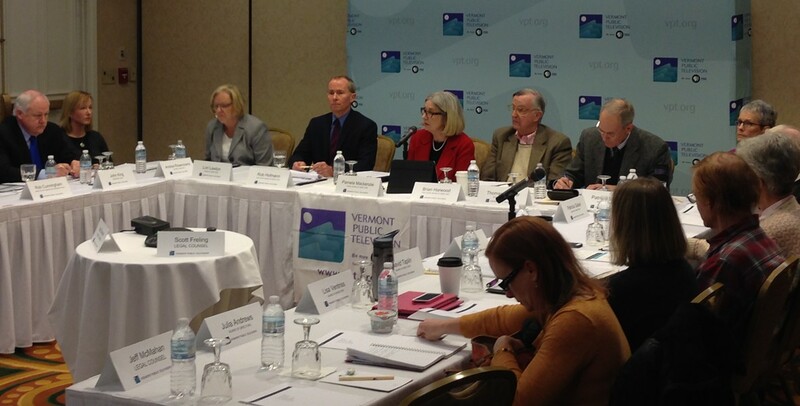 Released Wednesday, the IG's 20-page report came more than four months after the CPB received an anonymous complaint alleging that Vermont Public Television's board of directors improperly held at least 22 meetings behind closed doors. According to CPB inspector general Mary Mitchelson, 17 of those meetings were closed for valid reasons, but were not properly documented or publicized. In the remaining cases, she found that a quorum of board members was not present or she could not determine whether that was the case. Arguing that VPT board members "should have been aware of the open meeting requirements," Mitchelson wrote, "Noncompliance with open meeting and other [Communications Act of 1934] requirements jeopardizes continual CPB funding, undermines public confidence in the station and does not provide the public with the transparency envisioned by the Act." Mitchelson did not specify how VPT should be sanctioned. That decision lies with CPB management, which has yet to make a final determination. CPB provides roughly $1 million of VPT's $7.7 million budget. In a written statement responding to Mitchelson's report, VPT's board said it was "pleased" that the IG found its meetings were "properly closed" and that noncompliance "was limited to the unintentional omission from the VPT website of post-meeting notices indicating that these properly-closed meetings had taken place." But the board took issue with Mitchelson's recommendation that the station should face sanctions. Because VPT's board quickly investigated the allegations, established new procedures to prevent future violations and because other stations have not received sanctions for similar offenses, VPT's board argued, the station should be spared. "VPT firmly believes that sanctions are not warranted, and we look forward to working with CPB as it reviews this recommendation," the board wrote. Mitchelson did not agree. Board members, she wrote, "should have known about their duty to comply with the Act" and "repeatedly failed to comply" with the law. "We concluded that the magnitude of violations we found with regard to only one aspect of Act compliance warranted a penalty, and our recommendation for sanctions was consistent with our past practice," she wrote. Short Takes on Film: 'The Den'; "Makin' Friends With Ryan Miller"